MOST TOTTENHAM FANS were relieved to see the back of Roberto Soldado and Paulinho. The duo struggled following big-money moves to Spurs, and were ultimately sold earlier in the summer to Villareal and Guangzhou Evergrande Taobao respectively. However, despite their poor showing in North London, both Soldado and Paulinho have taken little time to make an impact at their new clubs. The Spanish international equalled his total Premier League tally for last season by scoring on his La Liga debut for Villareal. 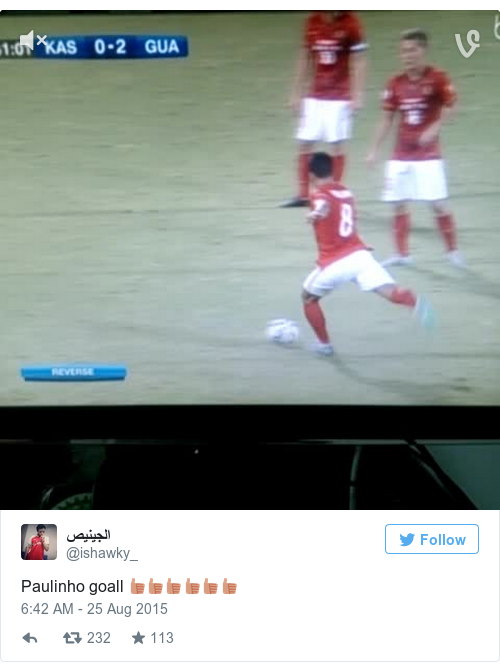 Meanwhile, Paulinho was even more impressive, scoring a stunning 40-yard free-kick for his new team. Email “2 Tottenham flops are suddenly coming good for their new clubs”. Feedback on “2 Tottenham flops are suddenly coming good for their new clubs”.